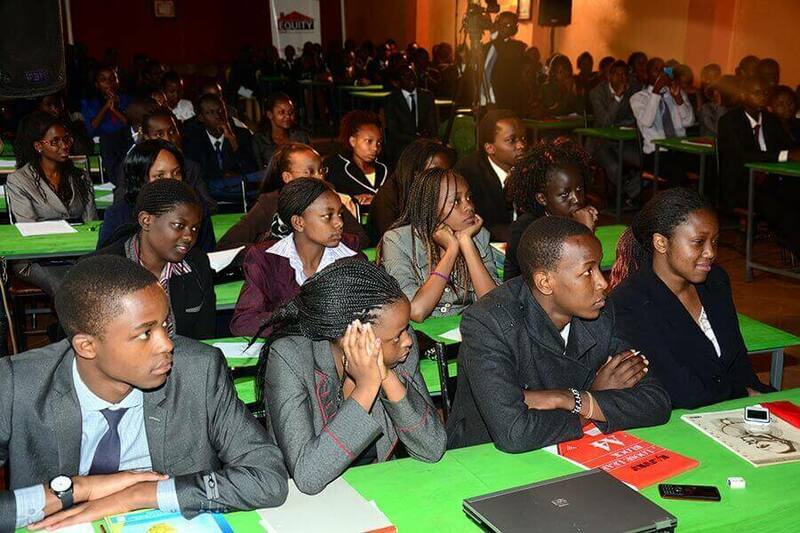 Equity Bank’s Leadership programme has been hit by a major scandal, where executives at the bank exploit young scholars sexually in the name of advancing them scholarships. 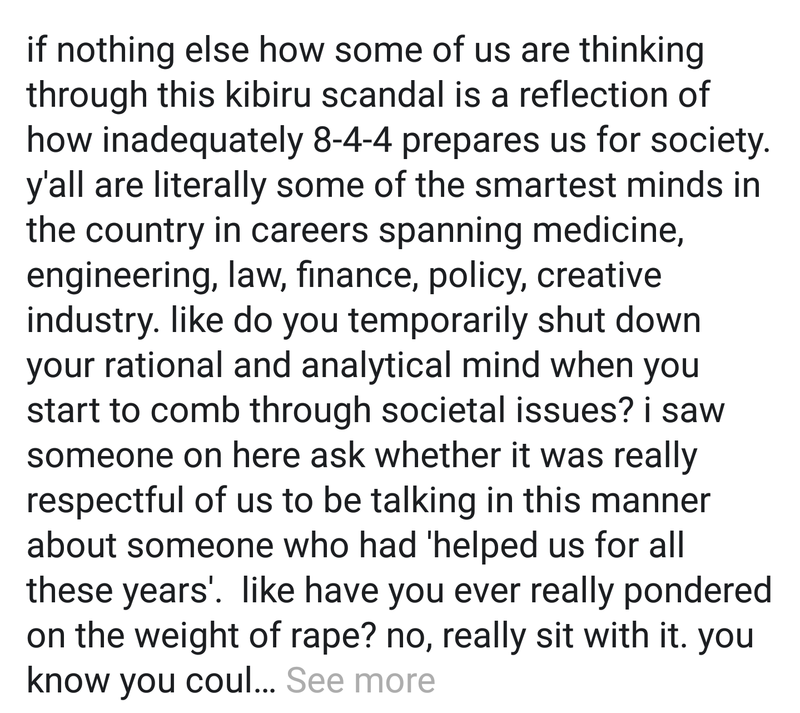 Several victims of the said sexual exploitation to to the leadership programme Facebook group to pour out the dirty secrets of how senior managers in the bank have been using them to satisfy their sexual gluttony. The vice has been like a norm, with those who try to resist being sexually assaulted, while others are discontinued from the programme. One of it’s officers adversely mentioned in the scandal that might explode soon is Philemon Kibiru, Senior Manager, Learning and Mentorship Programme Management, who has insatiable desire for women and will do anything to sleep with the young girls who join the Bank’s programme. 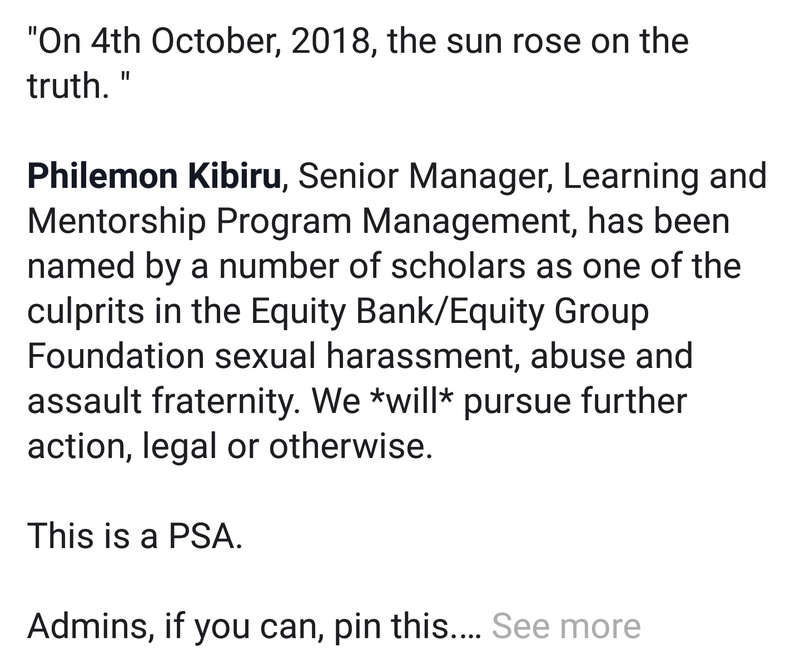 “Philemon Kibiru has been mentioned by a number of scholars as one of the culprits in the Equity Bank/ Equity Group Foundation sexual harassment, abuse and assault,” says one of the members of the group, who seemingly was a victim. Kahawa Tungu encourages those who have been victims of the heinous act at the Bank to come out, either openly or anonymously to share their experiences. Kahawa Tungu commits to protect identities of those who share their experiences on anonymous conditions.